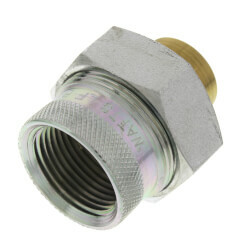 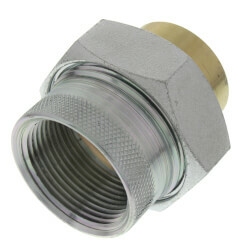 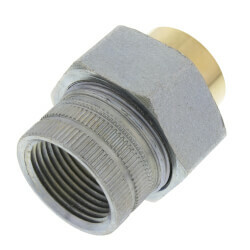 A dielectric union is utilized in a plumbing system to make a connection between two pipes of dissimilar metal (such as copper and galvanized Steel). 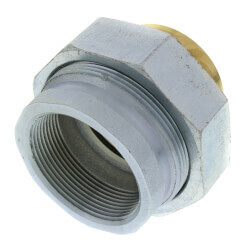 The installation of a dielectric union to separate the two dissimilar metals will prevent corrosion that would otherwise occur over time. 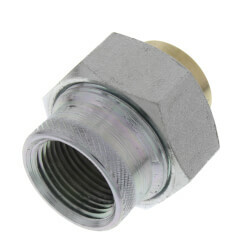 They are used in many common residential and commercial applications including: hot water storage tanks, water and air conditioners, and processing tanks and are commonly found in steam, gas, and water piping systems. 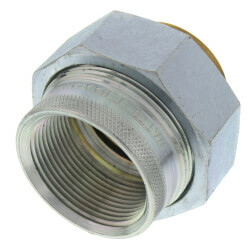 How does a Dielectric Union prevent corrosion? 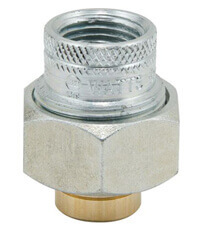 Generally all tap water is slightly acidic or basic. 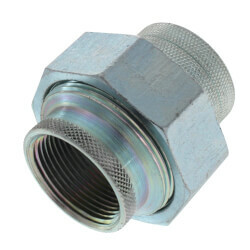 When tap water flows through two pipes of dissimilar metal (such as Copper and Galvanized Steel), an electric current is created. 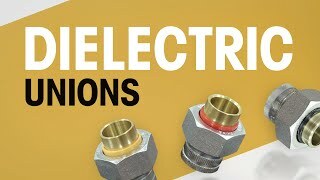 The chemical reaction created by the electric current will ultimately erode one of the metals, while simultaneously forming a buildup of new material on the second metal. 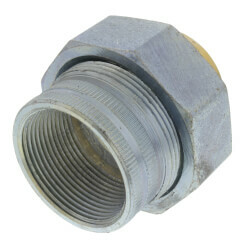 This buildup of new material typically consists of substance from the eroded metal, and the acid produced during the chemical process. 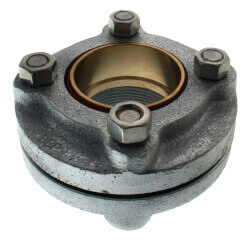 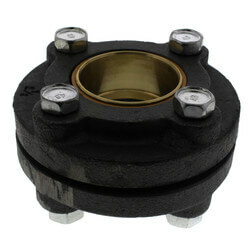 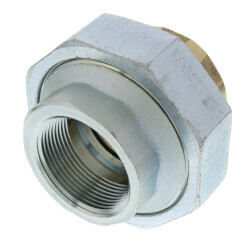 A dielectric union consists of four parts: a union nut, two tailpieces, and a gasket. 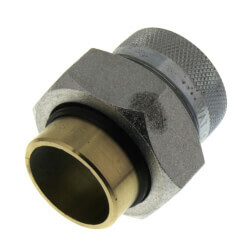 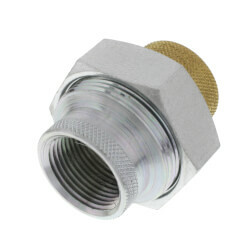 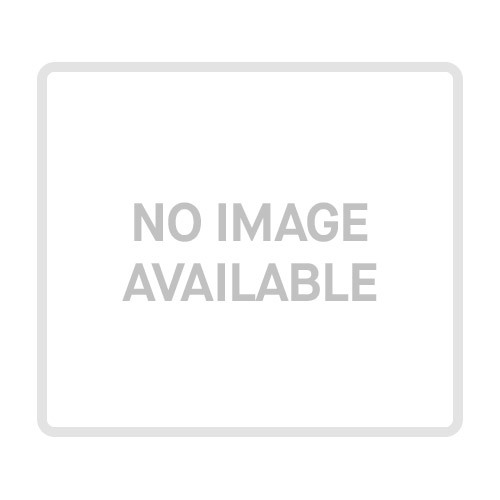 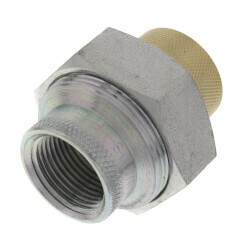 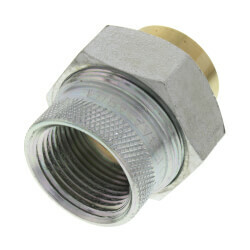 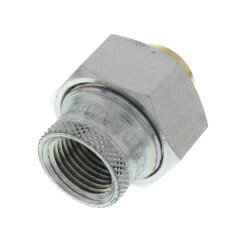 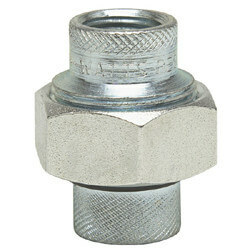 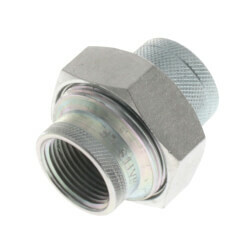 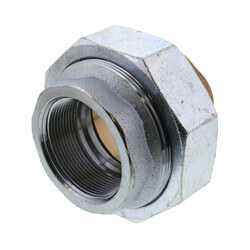 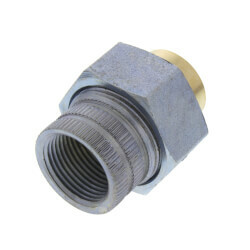 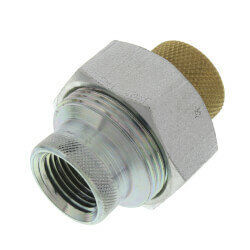 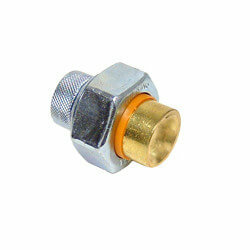 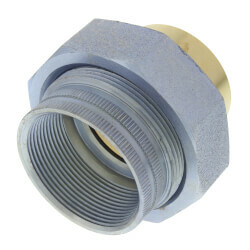 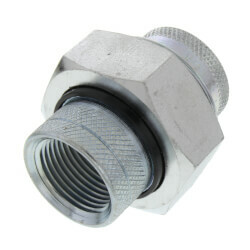 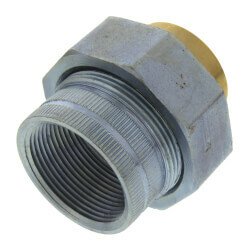 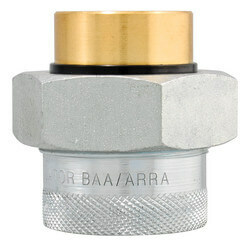 Watts 3001A dielectric unions feature a female iron pipe (FIP) thread x brass solder connection, and are available in sizes ranging from 1/2" to 2".